Happy Monday and hope you had a great weekend! 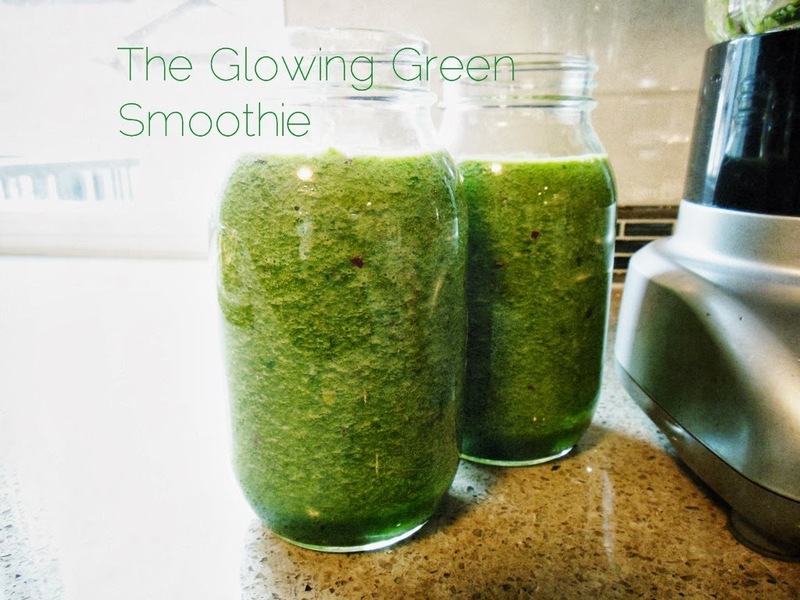 Since our Palm Springs holiday is quickly approaching, one way I've been getting myself bikini ready is by consuming the Glowing Green Smoothie by Kimberly Synder (a.k.a GGS). 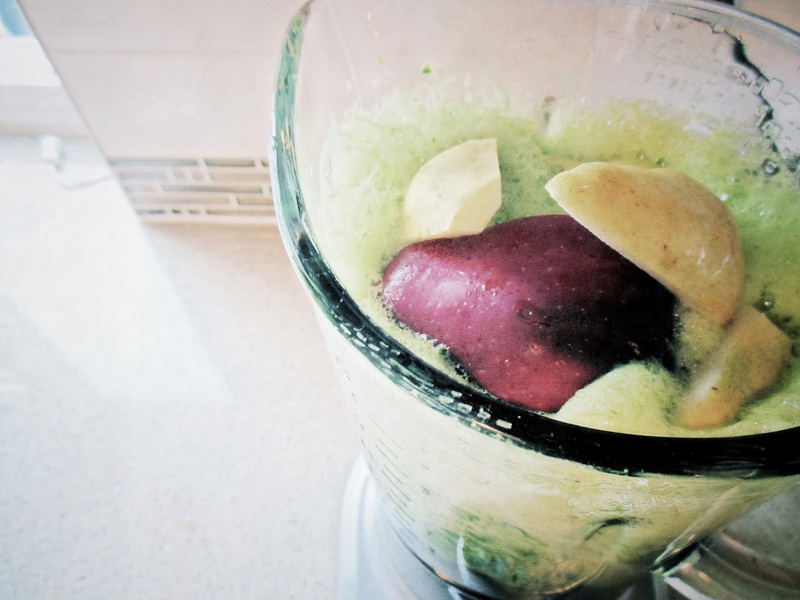 I was introduced to the GGS by my sister and it's really the most amazing smoothie. I did put a bit of my own twist to it and replaced the banana with a papaya and couldn't be happier with this recent change. 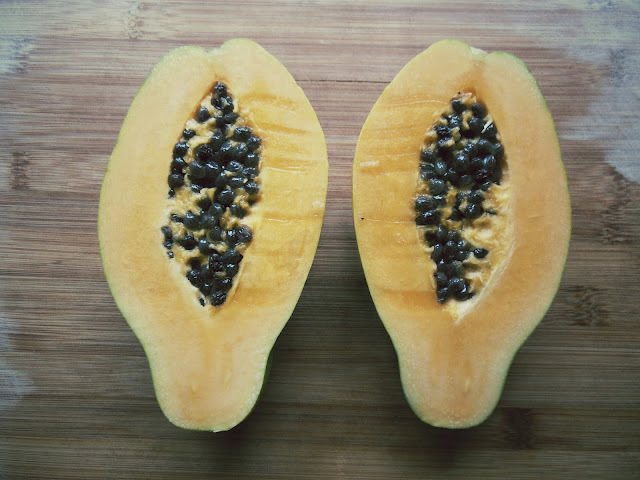 Now the papaya is one fruit that has been around for centuries, however for some reason, when it comes to the modern-day smoothie, the papaya fruit seems to get left in the wayside. I can personally attest to this because my last-minute resort for a healthy smoothie is the local Jugo Juice in the Bentall Tower, and for some reason none of their smoothies feature papaya and in fact the Juice shop does not seem to even carry the fruit. 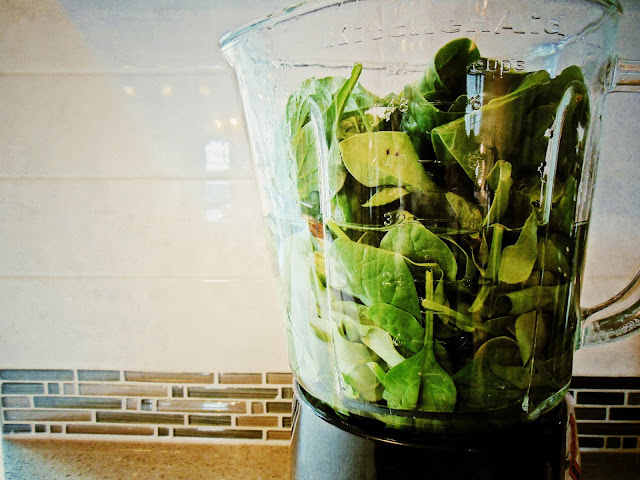 Green smoothies are one of the best options for your body when you are trying to kick it back into shape and although the color might turn you off initially, as it did me, once you actually take a sip, you won't even notice there are enough greens to cover your daily required intake. I love everything about the GGS, and although Kimberly Synder's original recipe calls for a banana, the papaya's flavour is amazing. While doing some research I found out the following about this amazing fruit. So go ahead and drink your greens and while you're at it, why not reach for one of the healthiest fruits out there. I love the mason jars at Daiso Richmond because it fits 2 servings of GGS perfectly, so you only have to blend once, every other day. 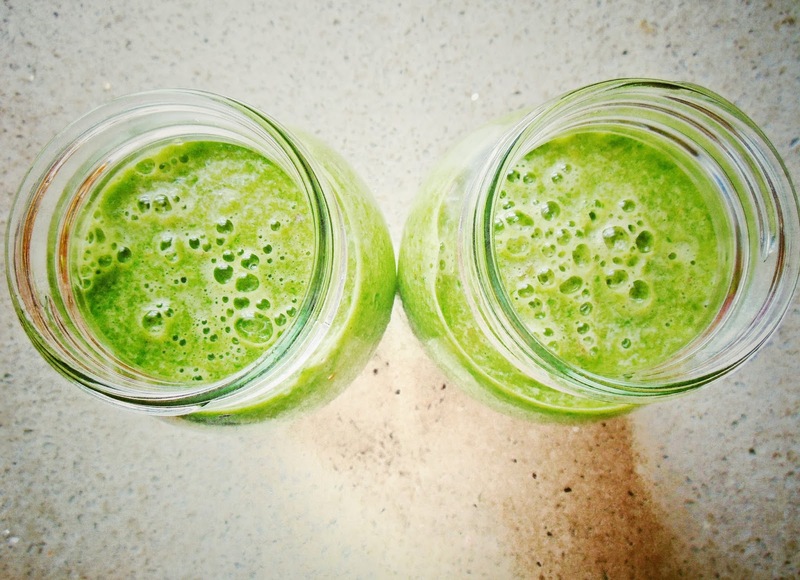 Here's to a healthy and fantastic week!